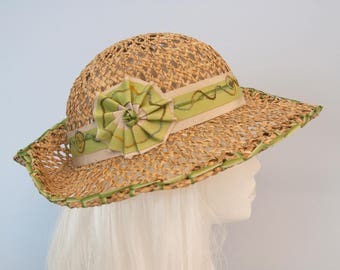 A fancy hand-beaded straw hat — perfect for the Kentucky Derby, Easter or other festive and dressy spring and summer occasions. This piece is titled "The River." 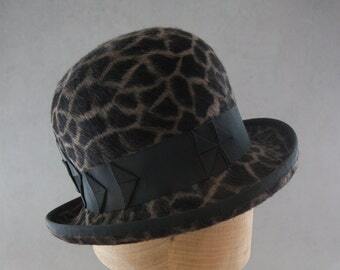 Seed beads and bugle beads "flow" across the brim and up the side of the crown, drawing inspiration from moving water. 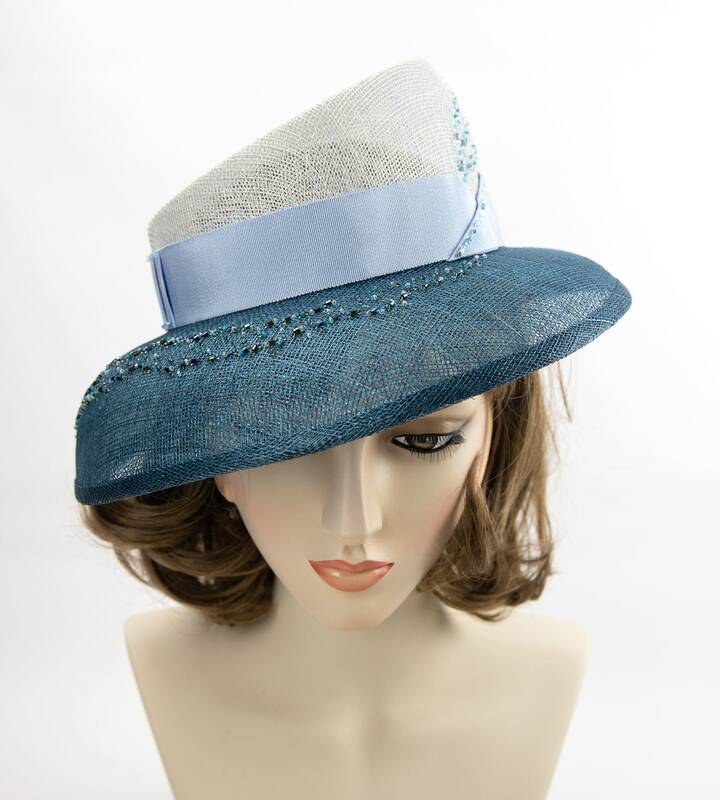 Angled crown of pale blue sinamay straw hand-blocked on a wooden hat block. 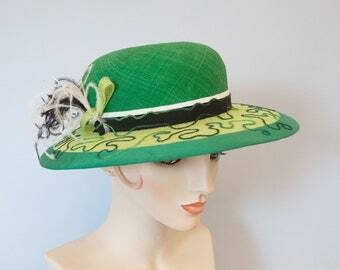 The brim is two layers of dark teal sinamay, with a bottom layer of a lighter turquoise sinamay. 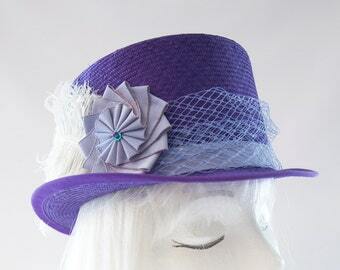 A light blue grosgrain ribbon with decorative pleats and folds encircles the crown. 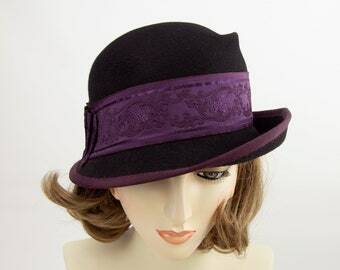 The brim is wired to hold its shape and bound with matching sinamay straw. 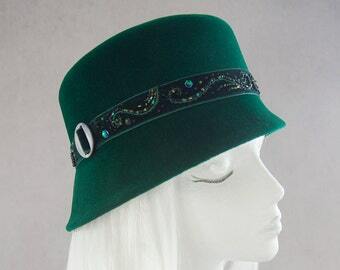 The star of this hat is the intricate swoop of hand beading — in shades of dark blue and teal on the brim and light blue on the crown — which adds sparkle as the beads catch the light. Unlined inside. 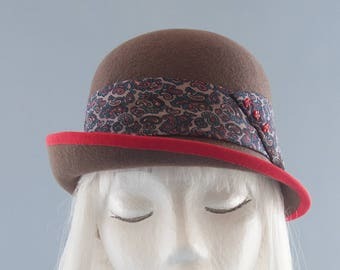 Finished with a turquoise grosgrain head-size ribbon and a Silverhill Creative Millinery label. 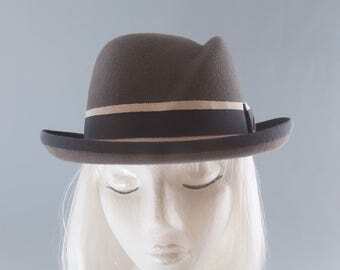 Best fits a head size of 22" - 22.5" (average women's head size). 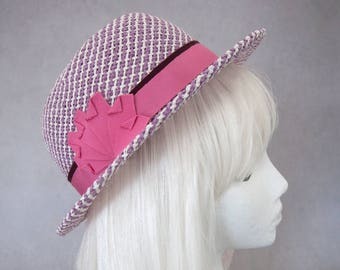 Designed to be worn angled down to the right. 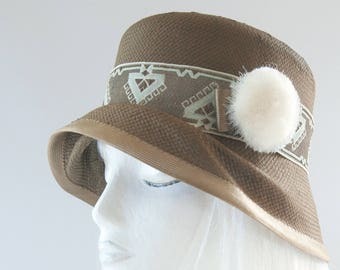 But you can play with how it looks best on you! 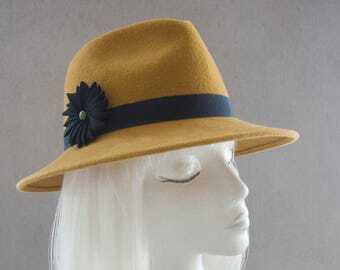 Depending on your event or fit needs, you may wish to add an elastic to help the hat stay on your head. 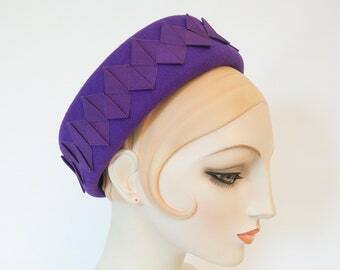 The elastic sits behind your head and is hidden in your hair.